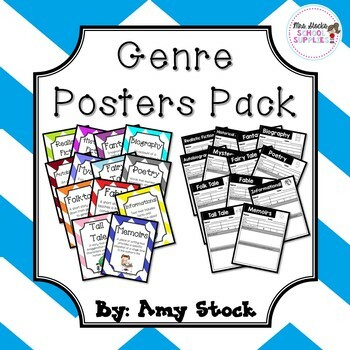 This pack includes posters that define the following genres: Realistic Fiction, Historical Fiction, Fantasy, Biography, Autobiography, Mystery, Fairy Tale, Poetry, Tall Tale, Folktale, Fable, Informational, and Memoirs. 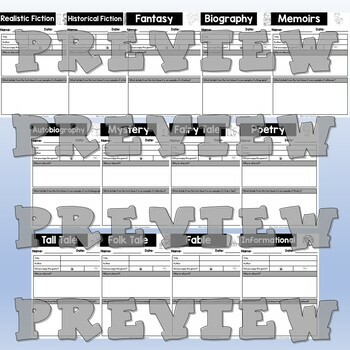 Also included are recording sheets for each genre that can be used with any book! 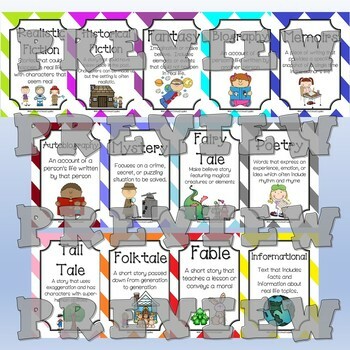 Students record their feelings about the genre and cite text evidence on how they know their text fits in to that genre.